We have been working with a small boys' school in Masaka called St. Francis Primary School. In Masaka, there are several girls-only schools, such as St. Cecelia Primary School, St. Theresa Primary School, St. Theresa Secondary School and St. Aloysius Secondary School. All of these are in the Masaka area and I have visited each of them. 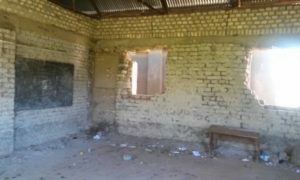 Some of those schools have foundations outside of Uganda who help support them. The girls' schools are given priorities in order to promote the education of females, which had been neglected. However, in doing that, the boys-only schools were forgotten. Almost all boys-only schools went under. St. Francis, a 122-year-old school, is the only one left. It was on its last leg until M.C.F. came to help. We sponsor children at all the above-mentioned schools, but it came to our attention that St. Francis was in dire need. Last year, we provided shoes and new uniforms for all the students. The top priority at this time is the dormitory. The current one, 100 years old, is about to collapse. 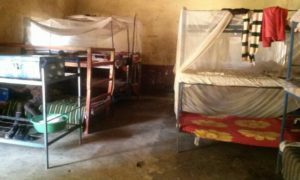 A dormitory is needed because the 3 to 5 mile daily walk for many students is too far. Plus, the school wants to attract parents outside the area in order to increase enrollment. The building which the community tried to raise funds for, is the one in which we want to complete a dormitory. Each room can accommodate up to 50 students. There are 4 rooms. You can see the building, the small amount of work that has been done, and the areas where the building is in more than sad shape. I think making this the focus of the Spoked to Ride event is warranted.